In the end, it was a dominating performance heads-up that sealed a victory for Yaniv Birman in the $10,000 Seven Card Stud Championship. 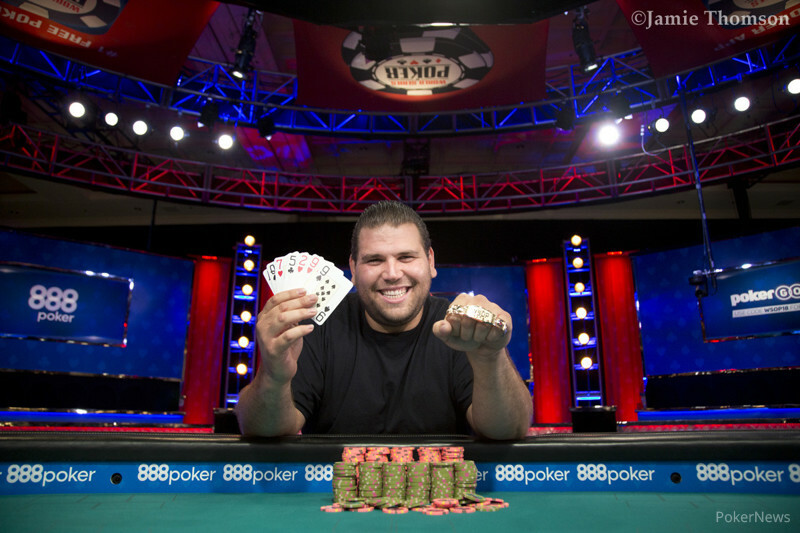 Coming into the day as the clear chip leader, he navigated his way past eight other players to secure the $236,238 in prize money and his first WSOP gold bracelet. And there was plenty of competition at the final table, with four former bracelet winners, including eventual runner-up Jesse Martin who fell just short of adding a third bracelet to his collection. "The cards were just running my way," said Birman. "I was just leaning on [Jesse Martin] all the time and the cards did all the work for me all day." "I play aggressively; if they're going to play back at me it is what it is. I'm probably going to fold. But I'd rather two or three-bet it and see where I'm at. I feel more comfortable that way, but everybody here's a good player - there were no soft spots. 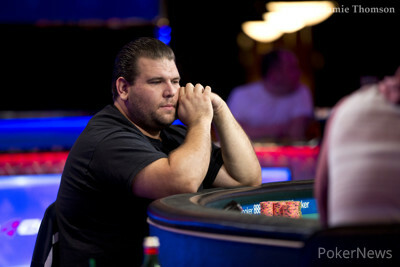 Birman said that one of the most important hands at the final table was a hand against Ben Yu. Three-handed he called down Yu in a pot, and then called a check-raise on seventh street with just a pair of fours - and was good! "I put him on a straight," said Birman. "I called his hand. I put him on Jack-King or King-Nine. I called right away and I won with a pair of fours. It was a huge pot; if I lose I'm at a million instead of two and a half." "I barely ever play tournaments so it's fun. I play once or twice a year. I got here Monday, and this was the first tournament I signed up for. The truth is I don't play much poker anymore. Stud is my favourite game - all types of Stud. 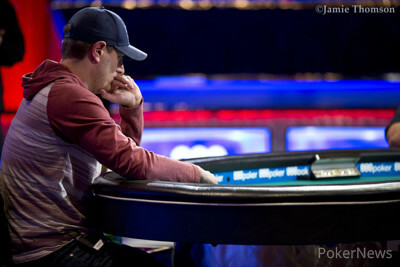 I play a lot of high-limit games in L.A.
"I'm predominantly a businessman, and I just play poker for fun. 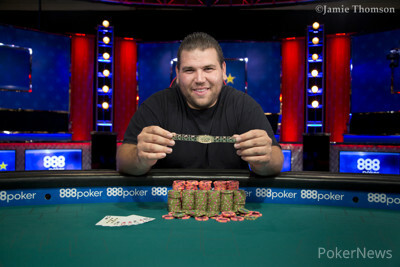 [Winning a bracelet] is just a great feeling." 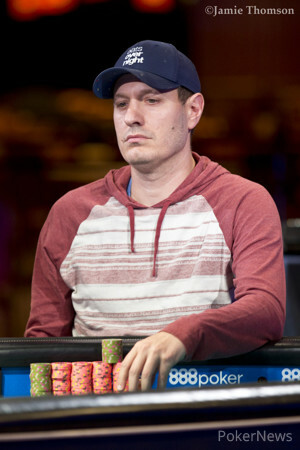 Birman took his aggressive style of play into the final table and his style was polar opposites to that of Lars Gronning, whose tight hand selection resulted in him getting his dwindling stack in once to triple, and again to become the first elimination at the hands of Joseph Cappello. Such was the pace of eliminations during the early goings, that another player was eliminated almost straight away. Ben Yu made two pair on seventh street and James Obst failed to improve and was sent to the rail. By the second break of the day, Birman was still topping the remaining six players with twice as many chips as Yu in second place. Birman would surge after making jacks-full against Matt Grapenthien, and Grapenthien would be the next elimination, again at the hands of Yu when Yu's buried fours held against the combo draw of Grapenthien. Just like with the first two eliminations of the day, one elimination lead to another and Lee Salem soon found himself heading to the exit in fourth. Jesse Martin had made trips by sixth street, and Salem failed to improve and was eliminated. Astonishingly, Birman had retained hold of his chip lead throughout the day without even eliminating a player. That would change three-handed as Birman pushed home his chip lead, with Birman going perfect-perfect to send Yu to the rail. Such was the head of steam Birman had built up, heads-up play seemed to be an inevitability. Raise after raise, Birman won all the key pots, showing down two pair and a flush and being awarded the pot. Although Martin did double through Birman, at the second time of asking he closed it out to take home his first WSOP bracelet and over $200,000 in prize money. That concludes the PokerNews coverage of Event #38: $10,000 Seven Card Stud Championship, with Yaniv Birman following in the footsteps of last year's winner Mike Wattel. 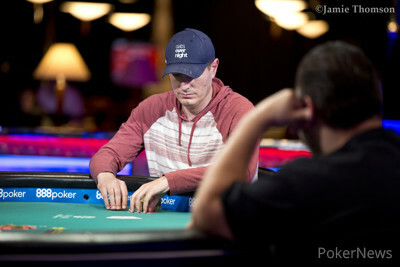 Jesse Martin Eliminated in 2nd Place ($146,006); Yaniv Birman Wins! Jesse Martin open-completed for his last 40,000 and Yaniv Birman called dark. 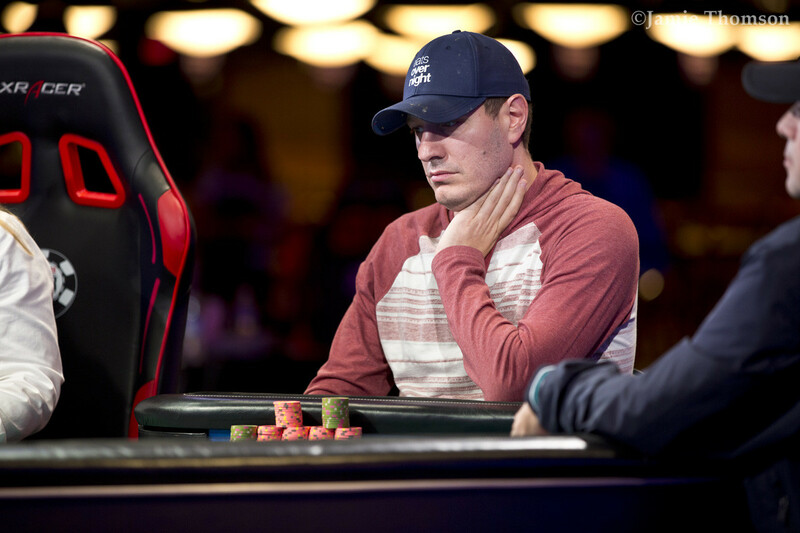 With Birman making a pair of nines on seventh, and Martin unable to improve to a straight or a better pair, Martin was eliminated in 2nd place for a $146,006 payday. Yaniv Birman completed and Jesse Martin raised. Birman made it three bets and Martin called. Martin bet on fourth and fifth street and Birman called. Birman bet on sixth street and Martin called. Both players checked seventh street. Birman showed for two pair and won the pot, leaving Martin with just 50,000. Yaniv Birman had the bring-in and Jesse Martin completed. Birman made it two bets to go and Martin called. With Martin making a pair of threes, he doubled to 350,000 in chips. Jesse Martin had the bring-in and Yaniv Birman completed. Martin called, but on fourth, he folded to a bet from Birman. Jesse Martin had the bring-in and Yaniv Birman completed. Martin called, and then called a bet on fourth. On fifth, Martin led out with open eights, and Birman folded. Yaniv Birman brought in and Jesse Martin completed. Birman raised and Martin called. Martin check-called a bet on fourth street and then check-raised Birman on fifth street. Birman called. Martin check-called another bet on sixth street. Martin check-called another bet on seventh street and Birman showed for a flush. Yaniv Birman had the bring-in and Jesse Martin completed. Birman called, and Martin bet out on fourth with Birman calling. Birman took the betting lead on fifth and sixth, and Martin called each time. On seventh, Birman checked, Martin bet 100,000, and Birman called. Martin tabled his for two pair, and Birman folded. Yaniv Birman had the bring-in and Jesse Martin completed. Birman made it two bets to go, and Martin called. Birman bet out on fourth and Martin called, and when Birman made open aces on fifth and bet out, Martin folded.